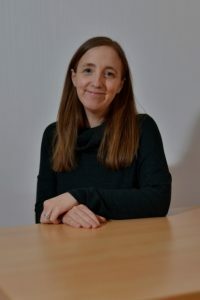 Lisa’s role encompasses overseeing the development and delivery of all Beacon’s care and support services, stimulating new ideas and innovation as well as creating new partnerships and collaborations which help Beacon provide better services. Through Lisa’s strategic vision, Beacon aims to truly make a visible difference to those living with sight loss. “I have always worked within the Charity sector, which has been a conscious decision of mine as I’m really passionate about making a difference. I feel very lucky to be part of the team at Beacon, who are all so driven to support others, improve people’s prospects and change perceptions. Working together, I am confident we will help create a society where individuals value and protect their sight and a visual impairment does not limit or determine opportunities. Stella has over 18 years of communications experience, gained in household brands including Morrisons, Halfords and Renault UK. An experienced brand builder, Stella has also driven communications support for CSR activities within her roles such as corporate Charity of the Year programmes and volunteering projects. Stella also has a wealth of internal communications and event management skills. Stella is responsible for the Communications and Fundraising team with a key focus on communications. The team raises awareness of sight loss throughout the region as well as the excellent care and support Beacon provides to people living with a visual impairment. Helen has worked in the media industry for 15 years. A specialist in health she also spent several years working as a news editor at the country’s biggest regional daily newspaper. She has also been involved in the charity sector as a volunteer for a number of years. Helen is responsible for the Communications and Fundraising team, raising awareness of sight loss throughout the region and the excellent care and support Beacon provides to people living with visual impairment. Philip is a Chartered Management Accountant with 30 years of experience in major companies such as GKN, Pilkington and Smith & Nephew. He leads Finance, Human Resources, Impact and Outcomes and IT to support the charity’s operations. He is registered blind and is assisted by his guide dog, Rye. Kam has worked in communications roles within the NHS, the Labour Party and the third sector. He brings with him skills within proactive campaigning, reactive comms and managing a busy press office. Kam will be spreading Beacons key messages and raising awareness of all its important work. He will also work alongside stakeholders, internal staff and partners to publicise important initiatives and big stories. Helping spread news across social media channels and other new platforms is also central to his role. As Partnership Development Manager, Sophie’s role is to create working relationships between Beacon and a wide range of local businesses. As well as working with corporate partners to raise much needed funds for the charity, this role is also about raising awareness of sight loss issues and includes delivering Beacon’s Sight Friendly Award, designed for companies and organisations who want to make their services more accessible for people with sight loss. Rachel manages a team across the various employment projects which covers the Black Country, Cannock and East Staffs. Her team help many people living with sight loss, engaging with them in various activities, helping develop their skills and building confidence. The aim of the project is to enable those living with sight loss to lead more independent lives to help open up more opportunities for those looking for work. Rachel also supports people to find suitable sustainable employment. Ranjit works for the BBO Project assisting visual impaired people to become work ready by building their social skills and confidence. The project aims to empower individuals to strive further and look for new opportunities through the employability programme. This includes support with career guidance and advice, CV and application form filling, one-to-one based sessions, group sessions and support with IT skills. Ranjit previously worked within a family support role with the Sickle Cell & Thalassaemia Support Project and as an employment officer with the YMCA. She is committed to her role and enjoys seeing the journey and positive changes in peoples lives. Becky is responsible for the recruitment, induction, placing and management of volunteers. She helps place volunteers within various roles across the charity which includes the Health and Wellbeing centre, retail, catering, admin, community groups and much more. Becky also coordinates work placements and corporate volunteering opportunities. Becky previously worked for the Thomas Pocklington Trust where she provided support within social group activities for clients living with sight loss. She enjoys working with people face-to-face to help support and strengthen the services Beacon provides – and believes the hard work and dedication of volunteers is central to the work of Beacon. The trustees play a vital role in guiding and leading the organisation and its staff to achieve its charitable objects. Pauline is the current Chair of the Beacon Centre. Her first visit to Beacon was back in 2006 which led to her becoming part of the team of consultants which helped to secure funding for the centre we have today. She remained interested in the cause of visual impairment and became chair in 2015. Carolyn Stokes has a background is in training and education, the organisation I work for, works with individuals who present with a range of barriers to learning, it sources funding and develop skills. Jan Burns MBE has worked for almost 37 years, both locally and nationally within the Social Care Sector, 25 years in Local Authority and is currently chair of the National Dignity Council leading a campaign with over 83,000 champions. She has a not for profit consultancy service offering information and advice to; people wanting to access a social care service, to organisations on how to deliver quality services to meet regulatory standards and to the workforce. Michael brings a wealth of experience to his role at the Beacon Centre having been involved in the governance of not for profit organisations and charities for more than 40 years. He is a chartered accountant and has spent most of his career as a partner in a medium sized accountancy practice involved in audit, accountancy and tax work for small and medium sized companies. Some of his past roles include chair – Prima Quality Foods plc, past chair of OM UK, a charity with 6,000 workers worldwide, past vice chair Sandwell College, past President Black Country Chamber of Commerce and Black Country Business Link. Sue Rawlings is a consultant working with the voluntary sector for more than 15 years. She has a background in finance, being a Chartered Certified Accountant, and previously having held positions in the public, private and voluntary sector, the last one being Finance Director for a charity in the West Midlands. She is also a director of Beacon’s Community Interest Company BeaconforLife and a Non-Executive Director at The Royal Wolverhampton NHS Hospital Trust.